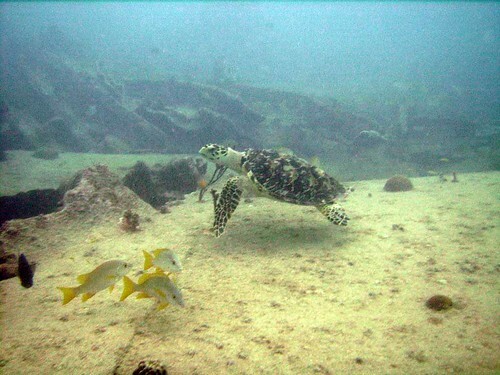 Saturday morning was another great dive trip with the crew from Rainbow Reef. We went to a spot on Molasses Reef named North Star. 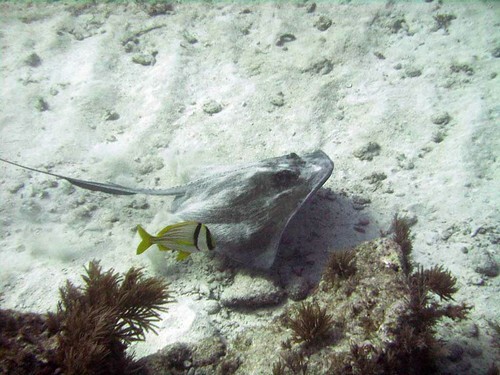 Joey led the dive and we were lucky enough to see two Southern Sting Rays and a free swiming Green Morey Eel. 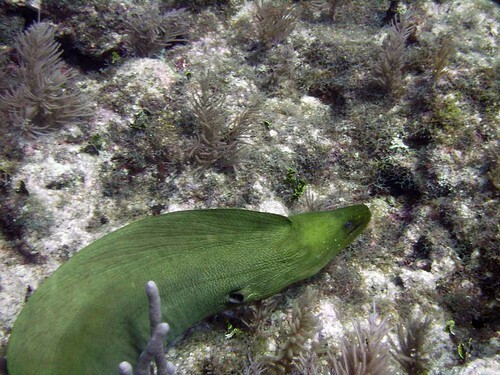 On Wednesday Feb 14 I went with the crew from Rainbow Reef to Fire Coral Caves on Molasses Reef. I visited this dive spot last year when I was diving here and even got some photos, but they did not come out are well as I had hoped. This year it was different. 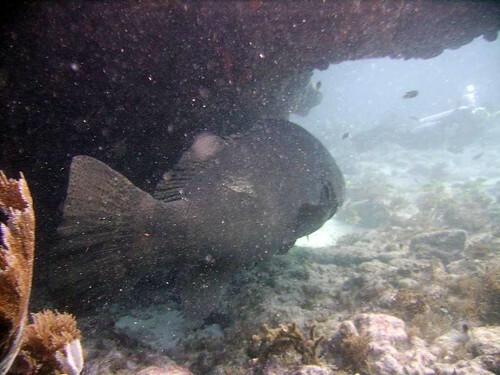 Oscar is a Goliath Grouper and is one of three groupers that hang out at this cave. 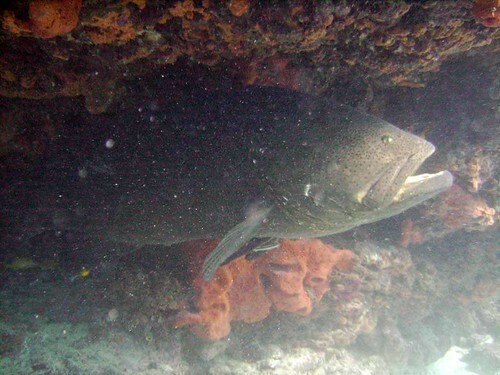 Aside from “Oscar” Fire Coral Cave is a fantastic dive spot. The numerous fish and fire coral are a feast for the eyes. 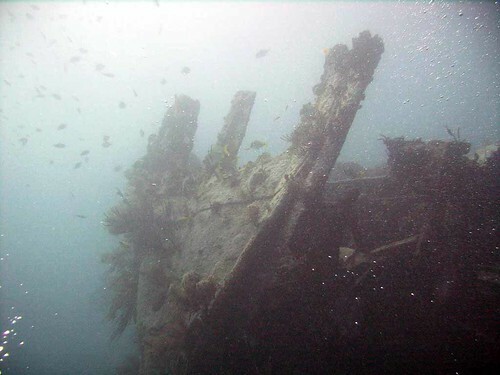 I made two visits to the wreck of the Benwood with the crew from Rainbow Reef. Kirk led the dive on Tuesday. The visibility was marginal due to the rain on Monday, but you could still see lots of fish and coral on the wreck. There was a light current that actually helped to clear it up a little. The visibility had improved by Wednesday so we visited the wreck again. Adriana led the dive this time. We saw a wide variety of fish. 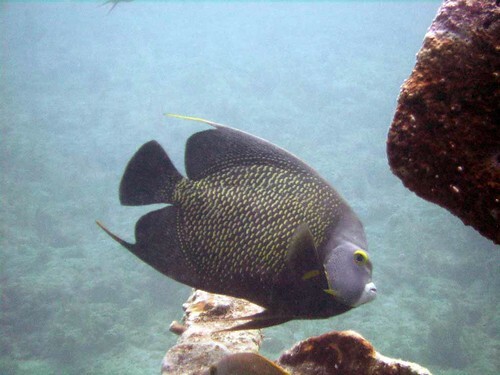 Most notable include some trumpetfish, a queen angelfish and the French Angelfish pictured below. Sunday was a great day, despite being cloudy with a few showers. I visited French Reef and Molasses Reef for dive number 53 and 54 with the crew from Rainbow Reef Dive Center. 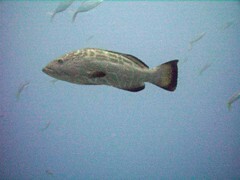 This Black Grouper was photographed on Molasses Reef in a area called the Fish Bowl. It rained (poured) most of the day Monday and it is forcasted to rain Monday night. It is supposed to be partly clooudy to sunny the rest of the week. If the wind stays calm and waves in the 1 to 2 foot range, I will be able to get a lot of photos.